Hmm….don’t really agree with your use of the statistics and your general point. All your data and comments really just state the the fold isn’t a specific line, but you still need to keep everything up top. 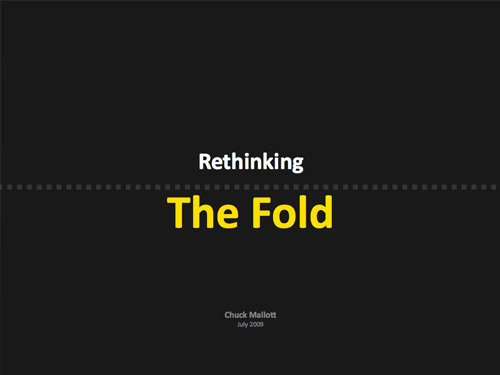 How is that not still keeping in mind a ‘fold’? By forcing an irrelevant limitation of pixel height, we’re also limiting the design’s potential and the user’s experience.